Our Exploration art program is perfect for individuals and families looking for high quality after-school classes and weekend art activities. This is a theme-based creative art program where students learn art fundamentals in a fun, small-group, age-appropriate way. This program allows you the flexibility of signing up for 1, 2, 3 or 6 months (4, 8, 12 or 24 sessions respectively). Each class is taken independently of each other. Exploration art classes run for 2 hours each time. Open to 4 years old to adults. 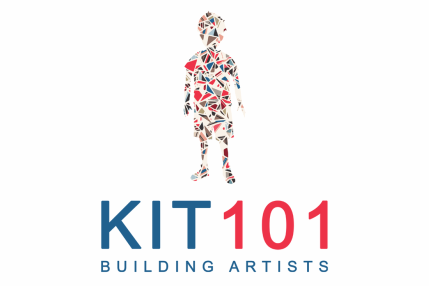 Coming to a KIT101 art class is seen a relaxing experience, a break from the daily routines. Students are encouraged to be themselves, to direct and reflect on their own works as we want their individuality and inner expression to come through. Our Focus art program is recommended for students wishing to delve into art as a serious hobby or in preparation for university, career or business. It's still fun and age-appropriate but more 'serious' compared to Exploration. This class allows students to learn fine arts and hone design skills outside of school and work hours in a small-group setting. ​Taken once a week for 3 hours/session, the whole program has 7 modules which can be completed in 3.5 years. A fast-track option is available for those wishing to complete this program sooner. Sign-up is by module. Suitable for 12 years old to adults. In Focus, we teach the elements of art starting with the concept of lines, shapes, forms, values, tones, colors, patterns and textures then moving on to principles of design such as balance, rhythm, harmony, contrast, unity, dominance, proportion. Gestalt theory covering concepts of proximity, similarity, symmetry and continuity are taught at a higher level. All of these are explored and learned in various media of expressions such as drawing, painting, printing, construction and such in single medium, mixed media and tactile approach. We also guide students in developing their portfolios. In the work below, the student focused on exploring the creative possibilities of basic lines and line qualities (long, short, thick, thin, small, medium, big, calligraphic, jagged/broken, radial, implied), progressing from creating simple patterns to complex designs. Through exercises like this, students break free from staying with preconceived, common, conventional and similar patterns. They gradually learn sophisticated forms and are able to see, invent and create new things in different perspectives.